Experience efficiency with a kick. Direct-injection technology leads to better combustion and a more efficient use of fuel. The 6-speed automatic transmission uses the engine's broad torque curve for brisk acceleration, optimized fuel efficiency and smooth shifting (available on EX-L V-6 and standard on Touring). Push the ECON button to adjust fuel-consuming systems for more efficiency. Plus, the colored coaching bars on either side of the speedometer let you know how efficiently you’re driving. The driver's seat adjusts 10 different ways (EX and above), and features a two-position memory system (EX-L and above). 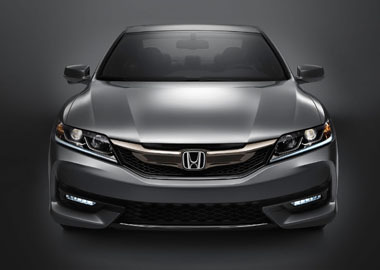 The Accord Coupe is luxuriously appointed with exciting technology, making it as functional as it is stylish. The latest in mobile connectivity, Apple CarPlay®1 allows you to access several of your iPhone features on the Display Audio touch-screen (EX and above). 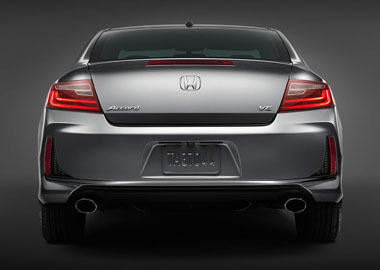 The Accord Coupe can make subtle adjustments to the volume of your music to compensate for road noise. Available: LX-S, EX, EX-L, EX-L V-6 Standard: Touring.